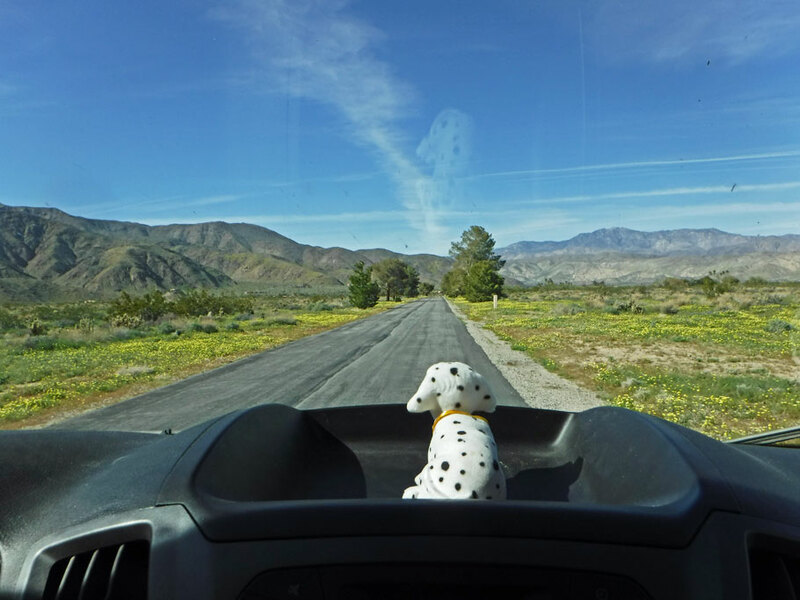 Bob enjoys the view of Golden Poppies as we drive through Borrego Springs. Back in Arizona, I found out that my friends Robin and Andre were going to be passing through the San Francisco area on March 22 as support crew with the musician Adrien Belew. Since this was close to other friends we were considering visiting, we decided to head in that direction. It was March 8, which meant we had 2 weeks to work our way north and west. Our roadmap was already marked up with National Parks and some Route 66 stuff we could visit along the way. Then I saw this article about Anza-Borrego State Park in Borrego Springs and the wildflower bloom about to happen. 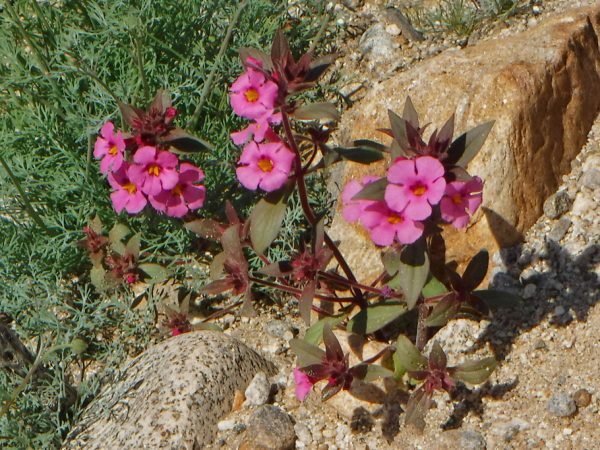 The past winter had been very wet, which meant there would be wildflowers everywhere and Anza-Borrego was the place to see it. I like flowers well enough, although, for the most part, I wouldn’t drive out of my way to visit a botanical garden. 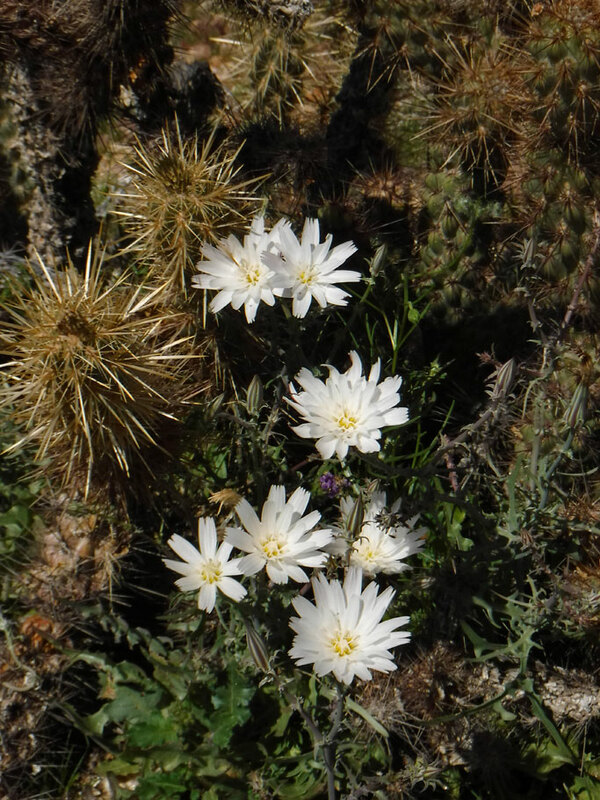 But I really like the concept of wildflowers. They are like Nature’s guerrilla garden, seed bombs covertly quietly waiting for the right conditions to go off. They are like Punk Rockers of the botanical world, crowd surfing the desert floor. They are random, unexpected, rebellious, DIY, grassroots – so to speak, and colorful – and I love stuff like that. Looking out the window as we drove into Borrego Springs, I was suddenly bowled over and terribly excited. We came for the wildflowers but found something so much more wonderful. 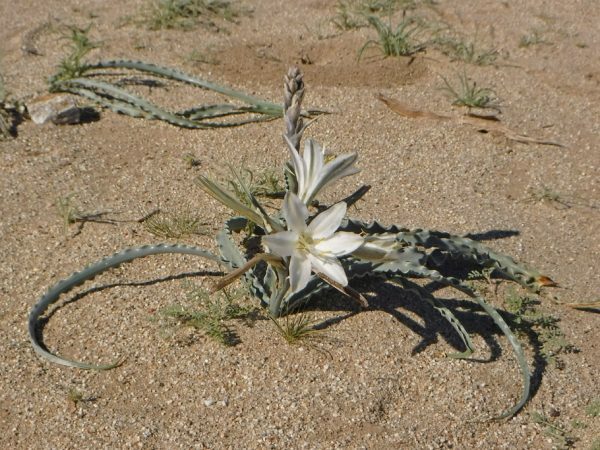 They were alive and primal, rambling through desert among the cacti and creosote bushes, across a backdrop of mountains. 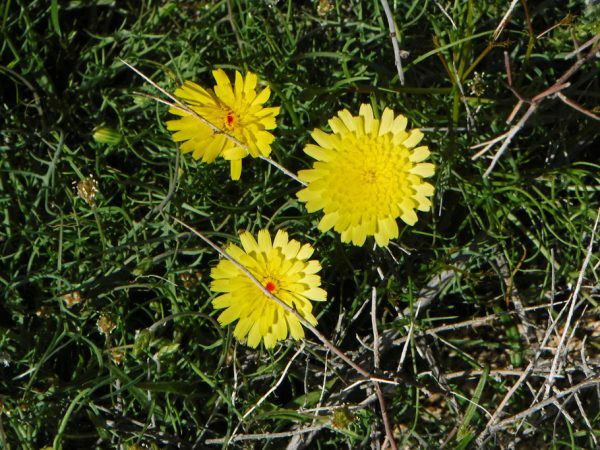 Nowhere in the wildflower article did they mention them – horses, camels, sloths, gomphotheriums, sea serpents! 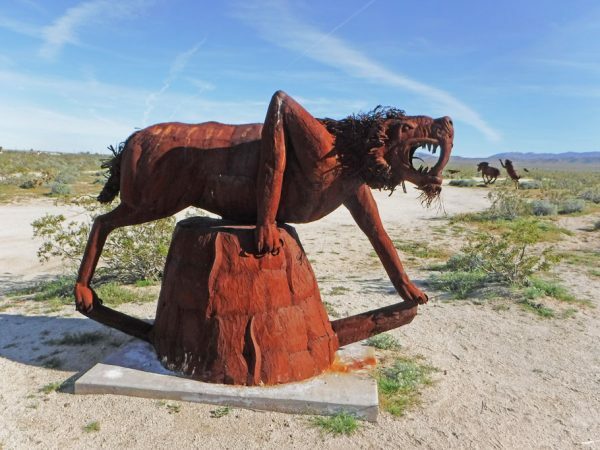 – fighting, hunting, foraging, and roaming through this small California town. It was public art – giant metal sculptures of animals, mythical, real and human. And it was all totally random, unexpected, rebellious, and amazingly rusty – and I absolutely love stuff like that! Our day quickly changed from one of mere flower peeping to one of hundering as we snapped a few pics wildflowers and then tracked down as many of the sculptures as we possibly could before the sunset and it was time to journey on. **PS – one of the reasons it took me so long to get this post out is due to wanting to caption all pics correctly. 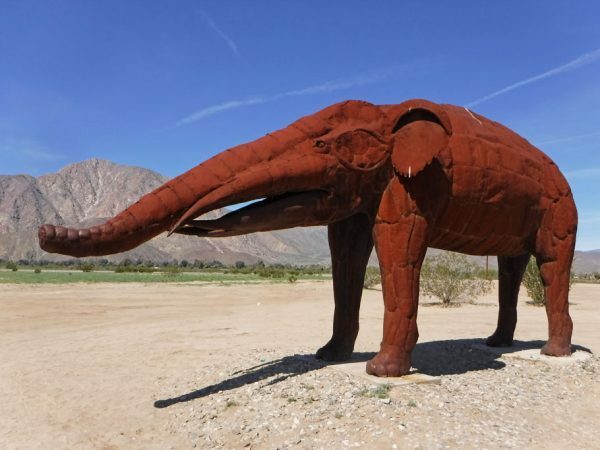 If you have never heard of some these animals, click the link in the caption to find out more. Click here for the location of Borrego Springs. 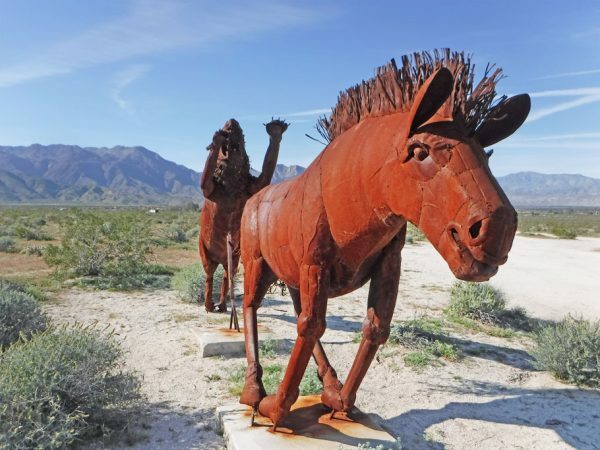 Although you can easily find many of the sculpture as you ride through town, click here to find some of the more popular ones. Here is the location of Anza Borrego State Park. 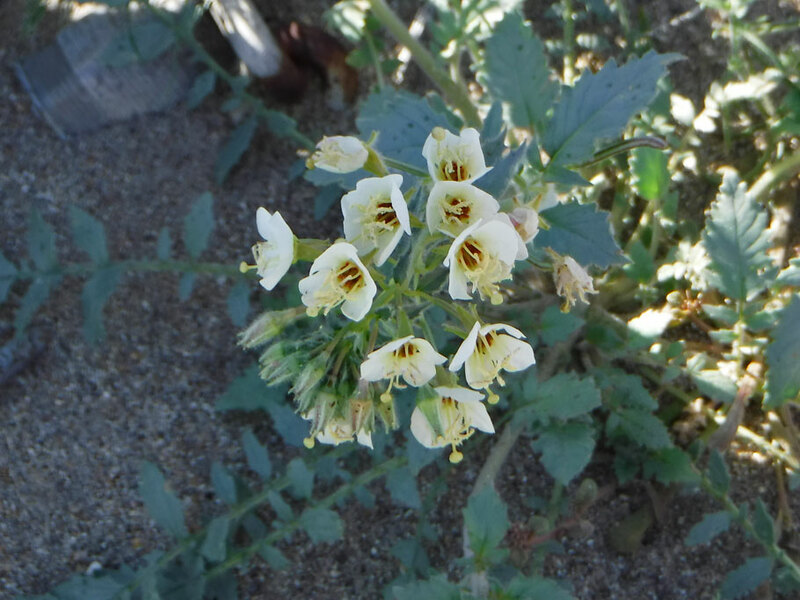 Click here for the Anza Borrego Website. 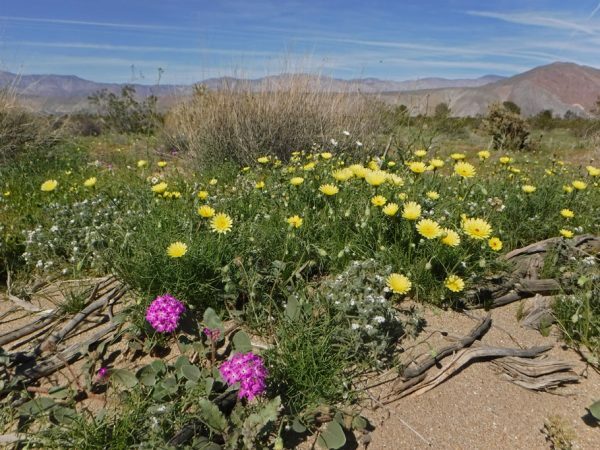 And here for camping, day use, and park pass fees for Anza Borrego and all California State Parks. Here is the direct link for Anza Borrego’s wildflower page. To learn more about the town of Borrego Springs click here for the town’s website. 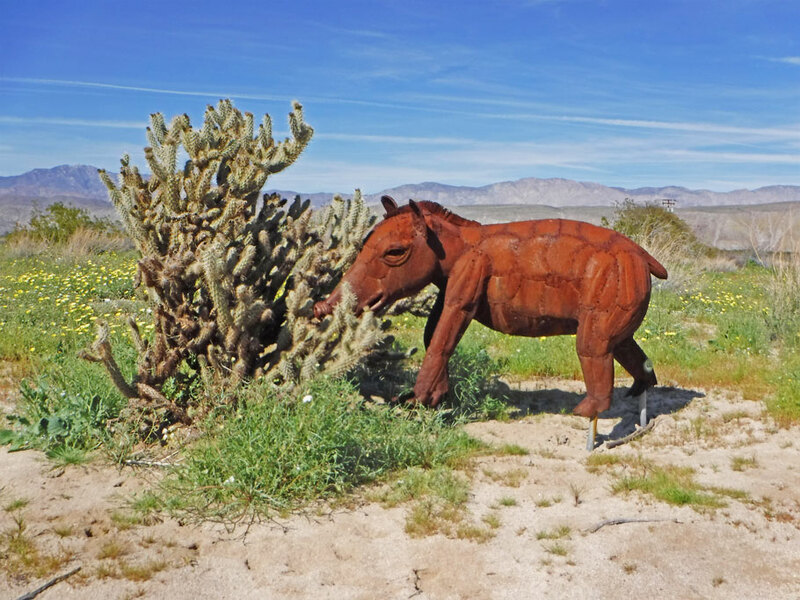 And finally click here for The Borrego Springs online 2018 Village Guide. “Flip” through pages 25 – 27 for more info about the sculptures and a map. Another lover of Springtime blooms is the Desert Blister Beetle. 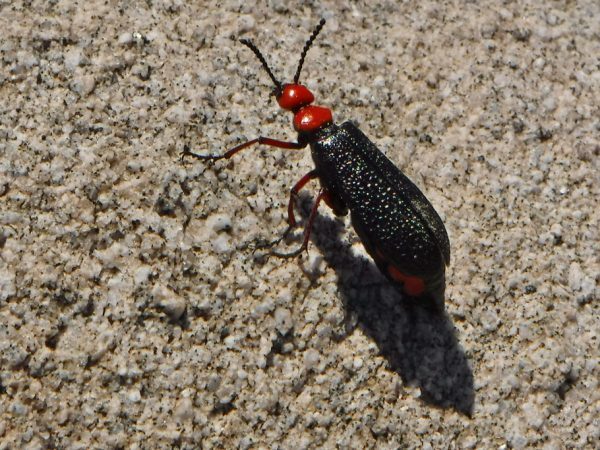 When upset this beetle can pop a blood vessel in the joint of its leg which causes a foul smelling yellowish blood to seep out. This blood can cause painful blisters on human skin. Despite its conspicuous red head hungry birds and rodents learn very quickly to leave it be. 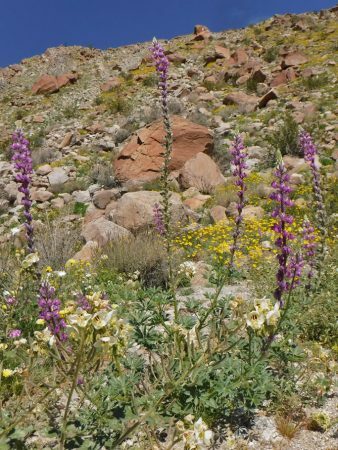 The tall purple flowers are Arizona Lupine. They are surrounded by yellow Parish’s Poppy, Brown Eyed Primrose, and Desert Chicory. 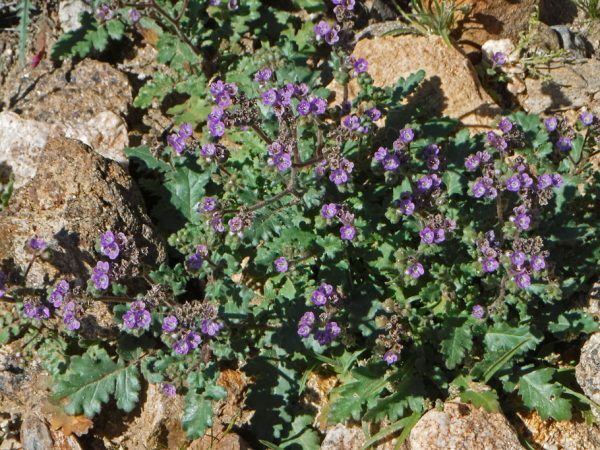 Red Sand Verbena, Desert Dandelions, and Forget Me Nots. Panorama at Anza-Borrego State Park. 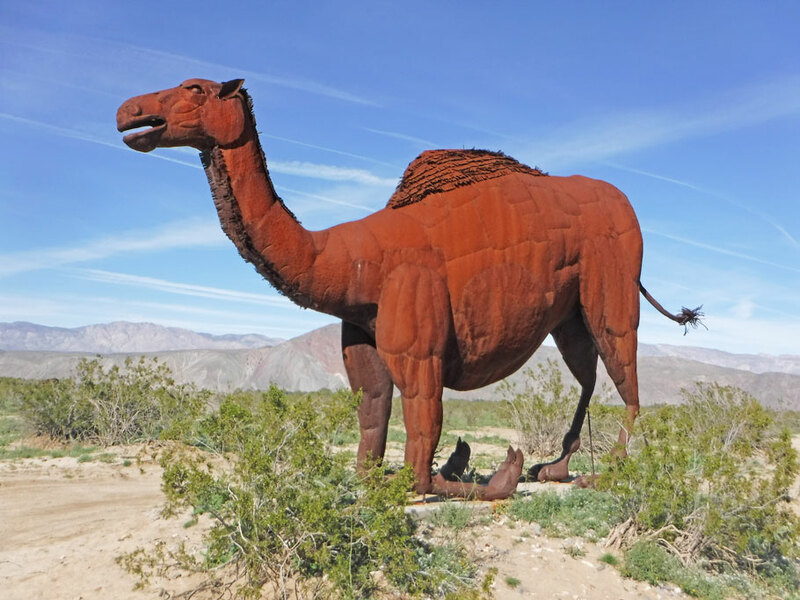 Camelops. 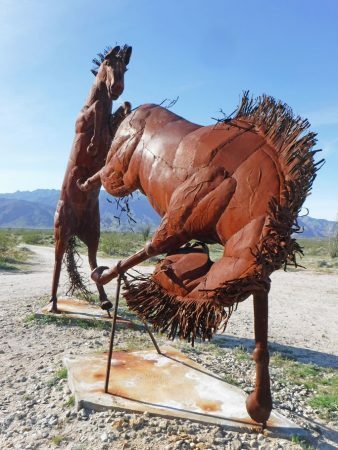 The sculptures were created by Ricardo Breceda who was born in Durango, Mexico, but moved to Borrego Springs for work. Merriam’s Tapir. The artist originally worked doing construction jobs and selling cowboy boots. Then, his 6 year old daughter asked for a dinosaur for Christmas which inspired Breceda to create his first sculpture. Paramylodon (Harlan’s ground sloth). In 2007 Dennis Avery, a philanthropist and heir to the Avery Dennison Corp. (you know, Avery labels), stopped by Breceda’s studio in Perris, California. 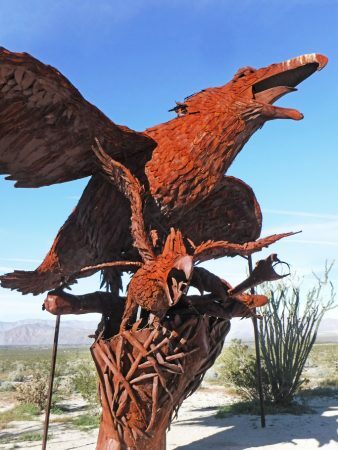 Avery asked Breceda to create statues on his property based on beasts featured in a book about now-fossilized creatures once found in the Anza-Borrego Desert. Serpent. Once Breceda had sculpted all of the beasts in the book, he started working on statues based on mythical creatures. Gracile Sabertooth Cat. 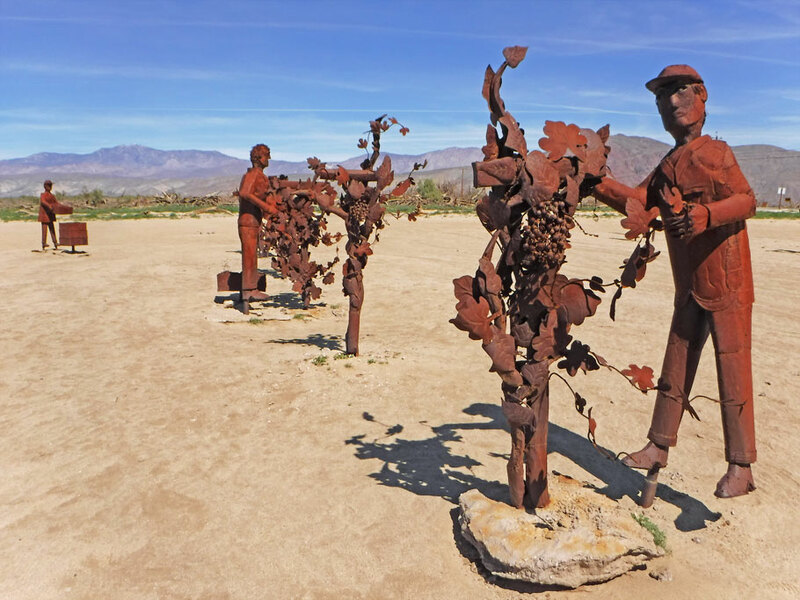 There are over 130 sculptures on the now deceased Avery’s property, called Galleta Meadows, in Borrego Springs. The property is unfenced and open to the public. Indian Head. Statues of people, most of which are based on people from the old west and Native American figures are also found in Galleta Meadows. Farm Workers. 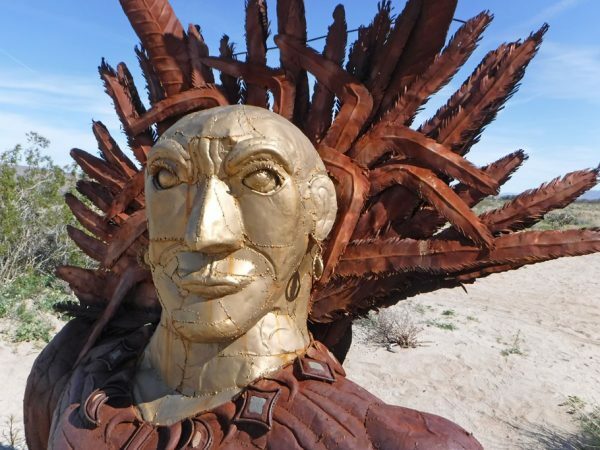 Breceda is know as “The Accidental Artist” (due to how he fell into the sculpting business) as well as “the Picasso of Steel”. 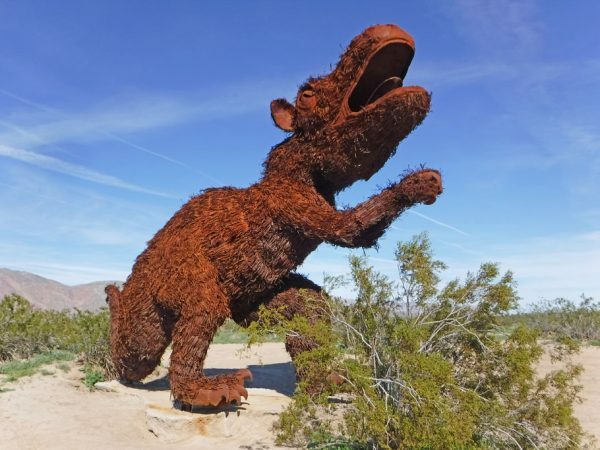 Gracile Sabertooth Cat attacking an Extinct Horse. 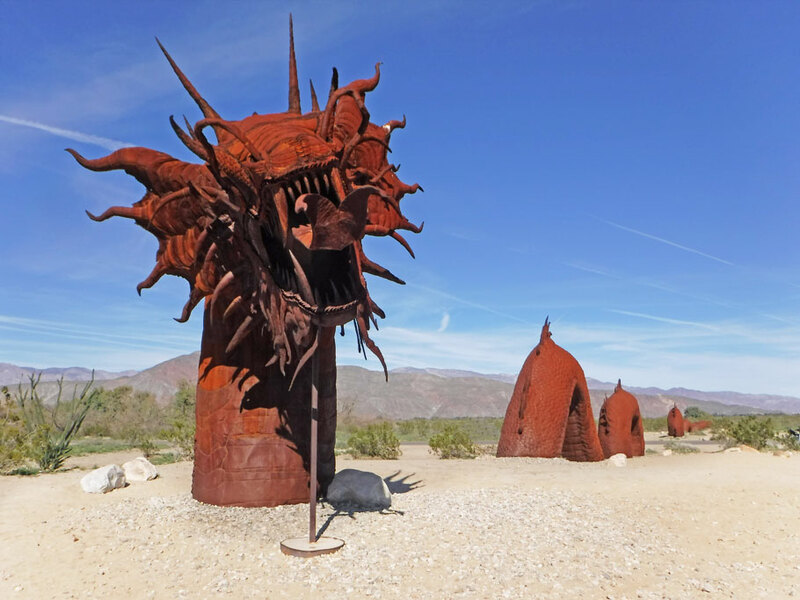 This entry was posted in California, Travel On The Dirt and tagged Anza-Borrego State Park, Borrego Springs, California, Galleta Meadows, hundering, Public Art, Sculpture, Sky Art, Wildflowers. Bookmark the permalink. They are amazing! I absolutely loved them. Yes – seriously, I am going to have to go back and find all of them.